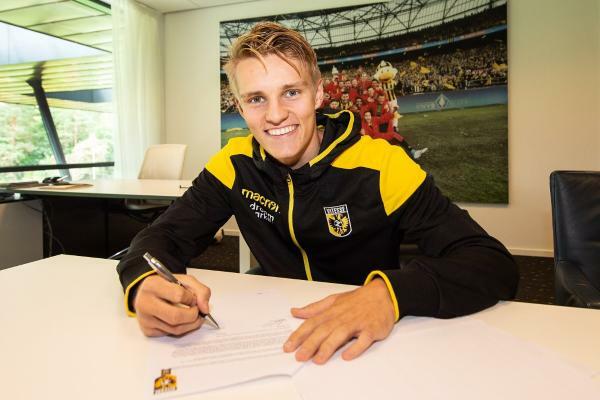 Real Madrid have agreed to send midfielder Martin Odegaard to Vitesse Arnhem on loan for the 2018-19 season. The 19-year-old will move to the Dutch club for the coming campaign, Real confirmed on their official website on Tuesday. The Spanish giants have said Odegaard will return to the Bernabeu on June 30, 2019. Odegaard spent last season on loan with Heerenveen, scoring three goals in 38 appearances. He became the youngest-ever player to receive a senior Norway cap when featuring in a friendly against the United Arab Emirates in 2014. Odegaard quickly attracted the attention of a host of top European clubs, while spending trial spells with the likes of Liverpool and Bayern Munich. Real emerged successful in securing the signature of the player, though his development since his move in 2015 has been slower than expected. Heerenveen were interested in taking the playmaker on loan again, though Odegaard - who has 12 international caps - has opted to continue his football in the Eredivisie with Vitesse.